Having run our MX100D through the hottest summer in living memory, I can’t say the Range drops anywhere near that much. 20% tops but even that is probably too much. You can also turn on the aircon from the app - when it’s charging the car loses no range and is wonderfully cool when you’re ready to depart. They are too expensive for the quality of car you get but sort of worth it for loads of reasons. I’d have another one. In fact, I may well swap the Aston for the Roadster II (if it ever is built). Interested to see what others are getting as an indicated range on electric-only with a full charge. Mine varies between 20 (eg this morning) and 27. and I'm certain that it won't actually do that distance. I live in rolling countryside and drive gently, car is garaged. Pretty sure this car will never ever do even close to the advertised 31m. I have a few weeks of daily experience now. In response to the question on variable full battery range indicated, mine varies too from low 20’s up to 30 miles. This changes almost every time for no good reason and varies still regardless of how charged. I charge at home overnight via a 13a hookup and during the day at work via a 7.5kW connection. Actual battery range achieved is pretty consistent between 19 and 22 miles. The Land Rover remote app is good for reviewing this per journey. I recently was invited by Jaguar for an afternoon with their I-Pace (100% electric car) at an "Art of Performance" event. The relevance of this is purely that I discussed in quite a bit of detail battery technology and charging with the knowledgable chap from Jag. Battery range is actually extremely susceptible to temperature and I wonder if this is why the P400 owners are seeing quite a varied range readout first thing. The Jag chap said, admittedly with the I-Pace but I assume similar would apply to other LIon batteries, that when charging the batteries warm to around 45C, their optimum design temperature for use is around 20C. He then said that if the batteries are below or above 20C by several degrees then it dramatically affects the range - rather counter intuitively he said that once you set off, at say 5C, the range showing is what you'll get having set off at that temperature, i.e. it won't increase the range once the batteries warm up. If the batteries had started at 20C then the range would have been much better or at least at their optimum. I'm sure someone here will have the knowhow as to why that is, but it was interesting to understand a little more about the challenges of battery only power. 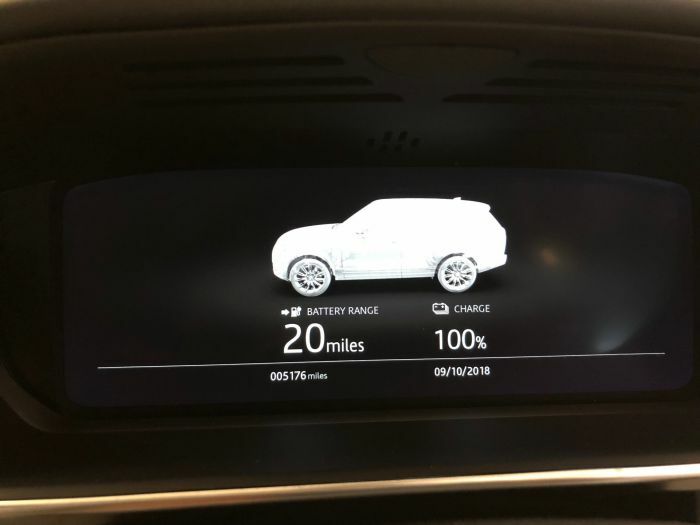 As a result of the above, I-Pace owners are recommended to set their home charging to be done in the morning hours before they're likely to do their journey such that the charging process warms the battery to it's optimal temperature for range plus the excess heat generated is then circulated through the car to warm it up to the perfect cabin temperature just as the driver jumps in. Clever I guess, but only if you have a relatively regular morning routine - which to be fair most people do. Tesla can be set to pre-warm the battery (and warm the cabin). The iPace is less efficient than the Teslas at road speeds. One has to rely on third party chargers when on a long journey. These are currently confusing, slow and unreliable (unlike Tesla's supercharging network). But the iPace is a good effort overall and I'm pleased to see mainstream manufacturers trying to compete. Teslas have a liquid cooling system. When I did a factory tour at Solihull, the battery pack I saw they were fitting to a 405 did not look like it had a cooling system. Not sure about the iPace. Question for PHEV owners with executive seats - has anyone sourced a rubber loadspace mat? The mats on the Land Rover website say that they are not suitable for PHEVs with executive seats. Is it a business purchase? all smug in my new plug! Some Porsche Cayenne guff pretending to be a 4x4!! That would nice, but no, it's not. Was the ambient temp cold? It will cut to the engine first to bring up to running temp quickly and meet demand for heated screens, seats, etc if cold and to save the battery. Best thing is to precondition the car prior to your journey if plugged in. This will preheat the car off the mains beforehand, double benefit of car nice and toasty and preserves the battery for the journey. You can set preconditioning on a timer in the infotainment system or via the app which is my preference. Yes, it was cold, and the first thing we all did was put the heated seats on, and my kids the rear screens etc. So your response makes sense! So the executive class seats on a P400e is not a deal breaker when it comes to boot space, then?